Two days before Battlefield V's open beta kicks off, including on PC via EA's Origin, DICE released a new informative video that finally provides more details about the game than what we knew from the time it was announced. In particular, the video confirms that Battlefield V will retain a single-player mode, unlike Call of Duty: Black Ops 4 which is also slated for a Q4 2018 release. 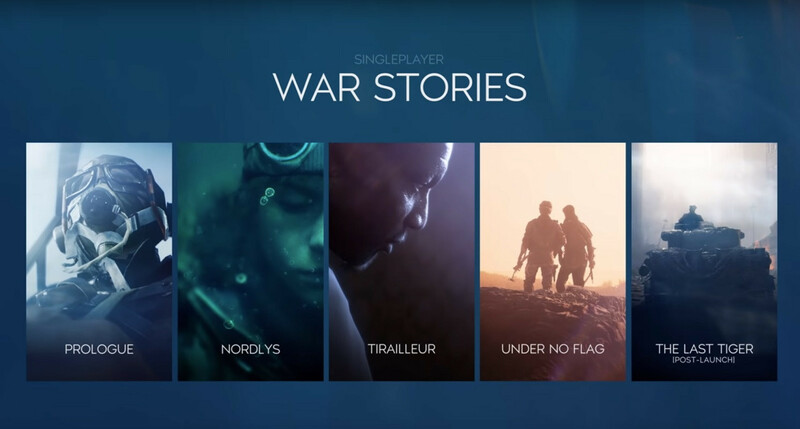 This single-player mode will carry on the War Stories aspect we saw with Battlefield 1, with four stories planned for launch date and another slated to be made available later on. The main highlight from the video, and something that should not surprise anyone, is a new battle royal mode called Firestorm that involves 16 teams of four players each for a total of 64 players per map session, playing to be the last team standing on what is claimed to be the largest Battlefield map ever created. This map is, in their own words, "a sandbox filled with destructible buildings, weaponry, and vehicles" and should interest gamers who like the battle royal concept but wanted something other than the PUBG and Fortnite (although you will note that many features are borrowed from these games as well). More details, along with the video itself, past the break. The theme of Battlefield V is World War 2, and every mode takes place within DICE's take of the campaign. Environment examples include tank battles in North Africa, air battles in Norway, close-quarter canal combats in the Netherlands, and open field combat in France. 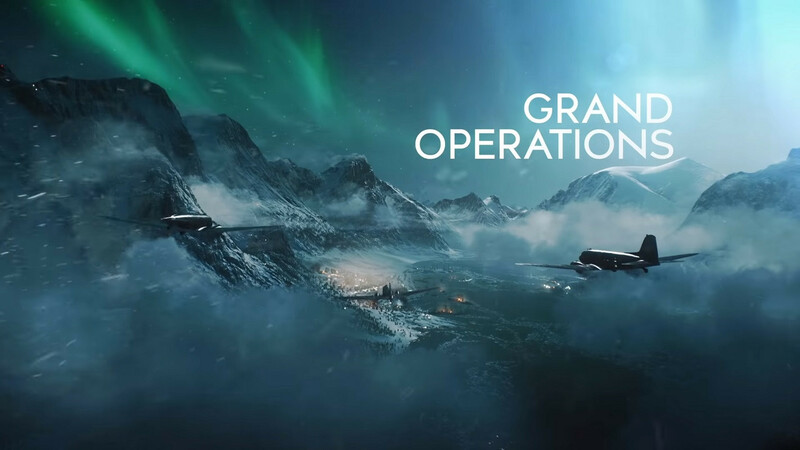 Popular multiplayer modes such as Frontlines and Conquest return with new options, alongside the new Grand Operations feature that encompasses multiple maps and modes within itself and takes places over four in-game days. 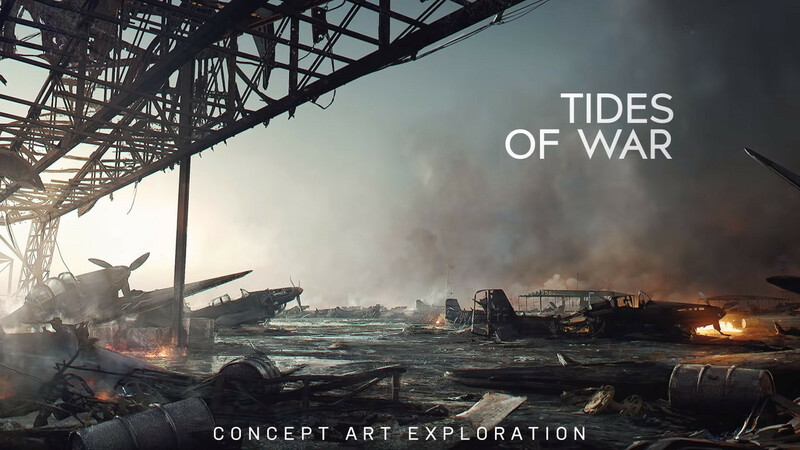 Finally, we also get to know more about their plans for post-launch game support via their games-as-a-service called Tides of War. Instead of going with a season pass, or a premium pass as termed before for the game's predecessors, Battlefield V adopts continuous added content post game. This is open to all players and there is a brief reveal already of the first of these planned content packs, The Fall of Europe, that arrives shortly after launch. Time will tell how everything plays out, as we await the game to launch November 20, 2018.
it seems worst than I anticipated. I love BF2 BC, I like BF3, thought BF4 was overly complicated and somehow annoying, never tried BF1 since rumors of being "meh". BFV looks like its gonna be complicated too..
Battlefield was never a single player game for me. All you got were clunky bots , often on a smaller version of the same map you would get in multiplayer.